TTC Holding is the fruit of three decades exprerience of harbor management. It was founded by harbor's professionals and continues to provide the necessary efforts to pursue the path initiated for three decades. 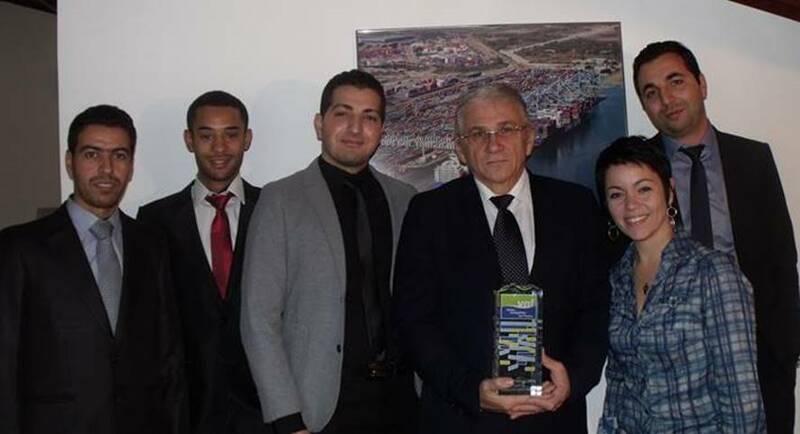 With the EGEE project, TTC wins the first edition of the new trophy Startup Transport and logistic challenge. It's the first trophy for this project, but TTC Holding will promise a lot of other challenges. With the technical and business background that the TTC Holding teams have acquired through years of experience, the harbor and Supply Chain still need improvements in terms of new technologies and optimizations of operations. TTC Holding is always attentive to the needs of its customers and make sure that they are always at the forefront of technology. More precision and cost saving with ISOLOC. More visibility and traceability with EGEE. Optimization of the Supply Chain for all stakeholders. TTC Holding wants to be the reference in terms of harbor logistics and regarding all the links of the Supply Chain. Thus become a leader in guaranteeing container placements on container terminals with ISOLOC. Cost saving, storage space and ensure the integrity of information and freight. With EGEE process, placing the tag on containers ensures the inviolability and real-time traceability of freight. With an package of security solutions, TTC Holding offers GPS-based solutions to it's ISOLOC customers in order to minimize the accident rate on terminals. Through the experience of the team wich constitutes TTC Holding companies, logistic is our first job, in front of IT. The solutions we propose are therefore conceived and developed by skilled tradesman, wich gives the success of our products. Solutions that reply to the right requirements. Study and realization of interfaces.